If you naturally have dark black or brown hair and have been thinking about going blonde, there are a few things you might want to consider. Since you always want to have a shade that is complimentary to your skin tone, it is important to take that into consideration when making a major colour change. Ash-blonde shades tend to look better against cool skin tones, while golden blondes look better with warm skin. So take a good look at your complexion and decide what shade of blonde would suit you best before you do any colouring. Moving from a dark shade to a light shade can be very damaging to the hair if it’s not done professionally, so it’s also important that you speak to a hairdresser. Not only for purposes of looks, but also for how the colour will actually be absorbed by the hair. If your hair is already damaged from colouring, perming, relaxing or styling, you may want to wait and work on conditioning and repairing your hair first, before attempting a major colour change. Alternatively your hairdresser may advise a course of Olaplex treatments to improve the strength and condition of your hair before colouring. Since the process will also be very time consuming, you will also want to take into account the time the appointment may require. 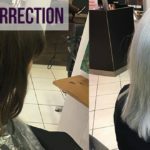 It is possible, in some cases, to do a colour correction in one day, however major colour changes are best made by taking gradual steps, such as doing ombre or highlights first and eventually working over to the new colour. If all of this seems a little overwhelming to you, or you’re not sure yet if you want to go through with such a major change, then why not take some baby steps first? You could begin to gradually change your colour by adding soft highlights or Ombre / Balayage to your hair. It is possible to get your dream look, it just takes a little time and effort. 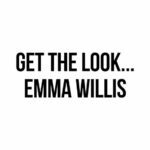 So why not book a free consultation with one of our stylists today and let’s make your dream a reality!